Congo Red in aqueous solution. 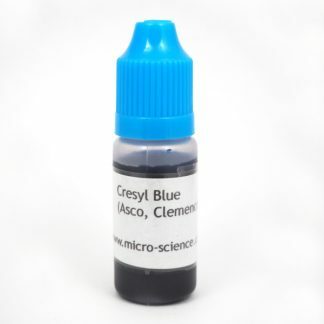 Good for general purpose staining of fungal cell walls. Quick instructions: place sample to be stained in a drop of Congo red solution. Leave for 2-3 mins and remove excess dye using blotting paper. Wash 2 x water and mount in water. 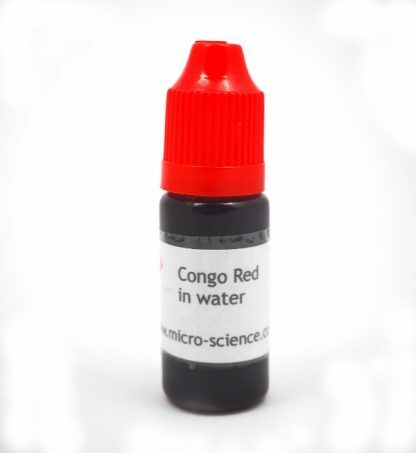 Congo red in water is a good stain for fungal tissues, however we can supply in 10% ammonia at the same price on request. 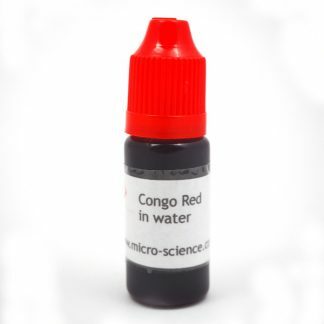 Congo red was first synthesized in 1883 and successfully marketed as a textile dye by AGFA of Germany. The name “Congo” is a historical artefact as it was named around the time of the West Africa conference (commonly called the “Congo Conference”) when European powers debated the colonisation of Africa. Many other dyes were also marketed using the “Congo” name in the following years, including Congo Brown and Congo Blue. Quick instructions: place sample to be stained in a drop of solution. Leave for 2-3 mins and remove excess dye using blotting paper. Wash 2 x water and mount in water. 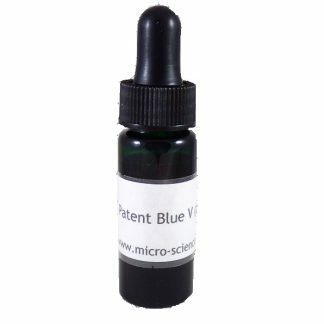 Patent Blue – 10mL. Stain for chrysocystidia.